According to a recent survey, WordPress powers 22.5% of all websites on the internet. People often make the error of regarding WordPress as just a blogging platform. That once was accurate, however today WordPress has evolved into a sophisticated content management system (CMS). While you can still use WordPress to create a basic website, it also allows you to create fully functional, full-feature websites and e-commerce solutions. WordPress is flexible and adaptive enough for just about anything. With thousands of enhancements available, WordPress can be the solution for just about any web project you have. And with Blass Marketing WP support, WordPress is a highly secure and safe platform. 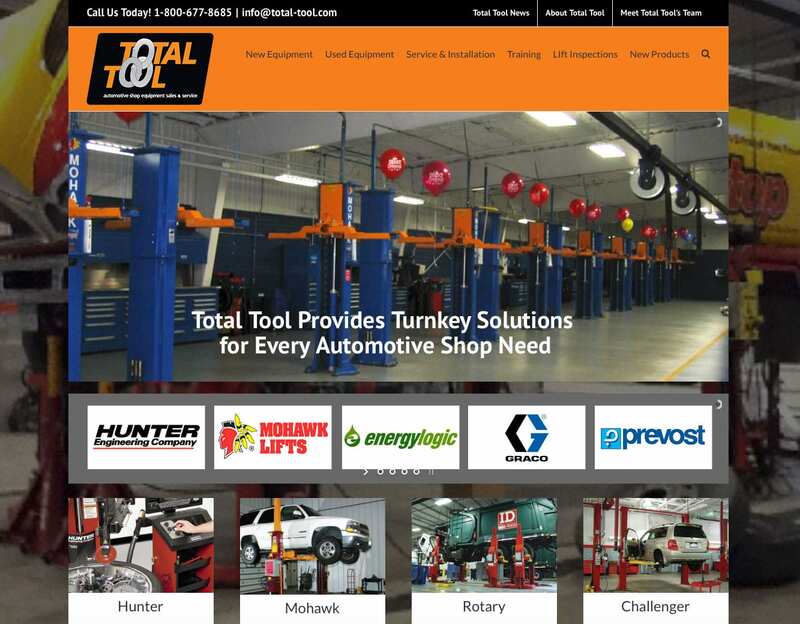 Total Tool provides turnkey solutions for every automotive shop equipment need. What they needed from Blass Marketing was a total makeover of their online presence. The custom WordPress-based site that we created includes new updated content, new photography, and an entirely new presentation of their products and capabilities. Quick to load, easy to navigate, and full of useful content, the site presents Total Tool as the life. Blass Marketing also manages an ongoing Search Engine Optimization Program (SEO) to keep Total Tool found in the search engines.